This exhibition and the accompanying catalogue emerged from a fourth year undergraduate Art History course, “Canadian Slavery and its Legacies: a Curatorial Seminar,” taught by Dr. Charmaine Nelson, Associate Professor of Art History. Working with the holdings of the Rare Books and Special Collections Library (McGill University), the students curated an exhibition, assembling a variety of extraordinary art and visual culture objects of direct relevance to Trans Atlantic Slavery. 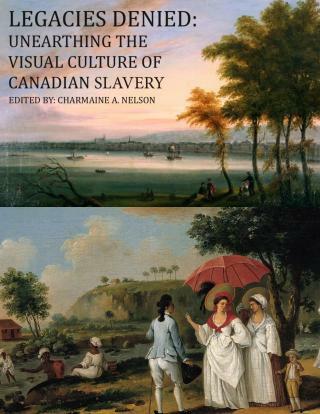 Like the course, the catalogue and exhibition contest the erasure of Canadian participation in the histories of Trans Atlantic Slavery, instead highlighting the role of Canadian art and visual culture in producing, sustaining and resisting the enslavement of people of African descent and Natives in the territories that became Canada. An exhibit curated by Svetlana Kochkina, Liaison Librarian, Nahum Gelber Law Library, McGill University. McGill’s woodblock collection, previously in storage, can now be studied at Rare Books and Special Collections. This collection, acquired in 1932, includes beautiful examples of wood engraving from the seventeenth to the nineteenth centuries in the UK, with special attention to the work of Newcastle designer and engraver Thomas Bewick (1753-1828). 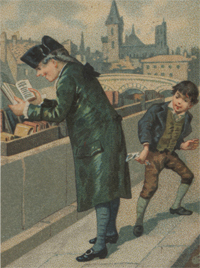 From very crude early blocks to George Cruikshank’s refined caricatures, make your pick! The images represented on the woodblocks range from biblical scenes to animals, to early flying machines and household scenes, and they were used for a wide variety of publication types. The Elephant by Thomas Bewick. Woodblock 314 used in p.186 of the 1791 Newcastle edition of the General History of Quadrupeds (Blacker Wood Collection, QL706 B57 1791). This elephant, for example, was designed and engraved by Thomas Bewick for his General History of Quadrupeds, one of his most famous works. 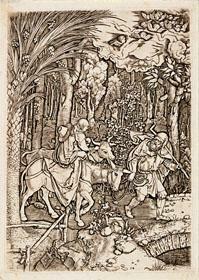 But most woodblocks were used to illustrate small chapbooks and popular children’s books such as Robinson Crusoe or Robin Hood. A more complete description of the collection can be found on the Library website.